The simple energy balance model of obesity is inconsistent with the available findings on obesity etiology, prevention, and treatment. Yet, the most commonly stated causes of pediatric obesity are predicated on this model. A more comprehensive biological model is needed upon which to base behavioral interventions aimed at obesity prevention. In this light, alternative etiologies are little investigated and thereby poorly understood. Three candidate alternate etiologies are briefly presented: infectobesity, the gut microbiome, and circadian rhythms. Behavioral child obesity preventive investigators need to collaborate with biological colleagues to more intensively analyze the behavioral aspects of these etiologies and to generate innovative procedures for preventing a multi-etiological problem, e.g., group risk analysis, triaging for likely causes of obesity. The authors express their appreciation to the Section Editor, Alexis C. Wood, PhD, for her many important contributions in revising this manuscript. Research reported in this publication was supported by the Eunice Kennedy Shriver National Institute of Child Health and Human Development of the National Institutes of Health under award number K99HD091396. This work is also a publication of the United States Department of Agriculture (USDA/ARS) Children’s Nutrition Research Center, Department of Pediatrics, Baylor College of Medicine, Houston, TX, and had been funded in part with federal funds from the USDA/ARS under Cooperative Agreement No. 58-3092-5-001. Tom Baranowski, Kathleen J. Motil, and Jennette P. Moreno declare they have no conflict of interest. 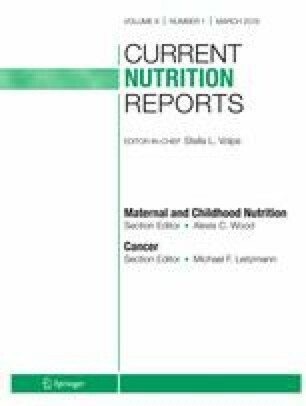 The contents of this publication do not necessarily reflect the views or policies of the USDA or the National Institutes of Health, nor does mention of trade names, commercial products, or organizations imply endorsement from the US government. World Health Organization. Childhood Obesity Surveillance Initiative (COSI) Factsheet. Highlights 2015–17. http://www.euro.who.int/en/health-topics/disease-prevention/nutrition/publications/2018/childhood-obesity-surveillance-initiative-cosi-factsheet.-highlights-2015-17-2018. Accessed 27 Aug 2018. Fryar CD, Carroll MD, Ogden CL. Prevalence of overweight, obesity, and severe obesity among adults aged 20 and over: United States, 1960–1962 through 2015–2016. In: Health E-Stats. Centers for Disease Control and Prevention, Atlanta, GA. 2018. https://www.cdc.gov/nchs/data/hestat/obesity_adult_15_16/obesity_adult_15_16.htm. Accessed 24 Sept 2018. Centers for Disease Control and Prevention. About adenoviruses - prevention & treatment. https://www.cdc.gov/adenovirus/about/prevention-treatment.html. Accessed 8 Aug 2018. Stark CM, Susi A, Emerick J, Nylund CM. Antibiotic and acid-suppression medications during early childhood are associated with obesity. Gut. 2018. https://doi.org/10.1136/gutjnl-2017-314971. Sun L, Ma L, Ma Y, Zhang F, Zhao C, Nie Y. Insights into the role of gut microbiota in obesity: pathogenesis, mechanisms, and therapeutic perspectives. Protein Cell. 2018. https://doi.org/10.1007/s13238-018-0546-3. Zmora N, Suez J, Elinav E. You are what you eat: diet, health and the gut microbiota. Nat Rev Gastroenterol Hepatol. 2018. https://doi.org/10.1038/s41575-018-0061-2. Anhe FF, Nachbar RT, Varin TV, Trottier J, Dudonne S, Le Barz M, et al. Treatment with camu camu (Myrciaria dubia) prevents obesity by altering the gut microbiota and increasing energy expenditure in diet-induced obese mice. Gut. 2018. https://doi.org/10.1136/gutjnl-2017-315565. Lipstein EA, Block JP, Dodds C, Forrest CB, Heerman WJ, Law JK, et al. Early antibiotics and childhood obesity: do future risks matter to parents and physicians? Clin Pediatr (Phila). 2018. https://doi.org/10.1177/0009922818809534. Schrempft S, van Jaarsveld CHM, Fisher A, Herle M, Smith AD, Fildes A, et al. Variation in the heritability of child body mass index by obesogenic home environment. JAMA Pediatr. 2018. https://doi.org/10.1001/jamapediatrics.2018.1508.